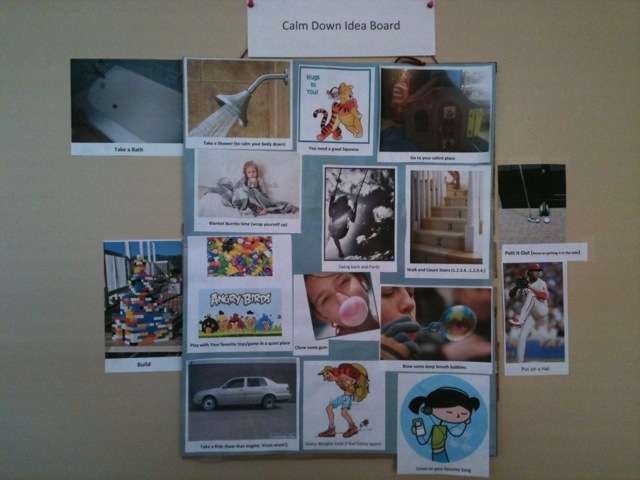 The Calm Down Idea board provides a number of ideas/activities that you and your child can visually reference when at home. I have this board posted on the wall in my office and have added to to it for the last two months, taking ideas from all of the children and families I work with. The concept of an idea board, that is to be added to and referenced by all, is one used in business (especially manufacturing) every day. It is seen as a way of tapping into the collective mind of the workers to promote more effective practices. We all come in contact with others who are doing things that spark our interest, that are innovative, and that might work for us. I encourage you to add to this board continuously and in doing so, help build your child’s ability to cope with his/her surroundings more effectively. Just yesterday I received a wonderful set of occupational therapy exercises from a client. I was lucky enough to not only see the small booklet but also get a live demonstration:). It will soon make it’s way up to the board. 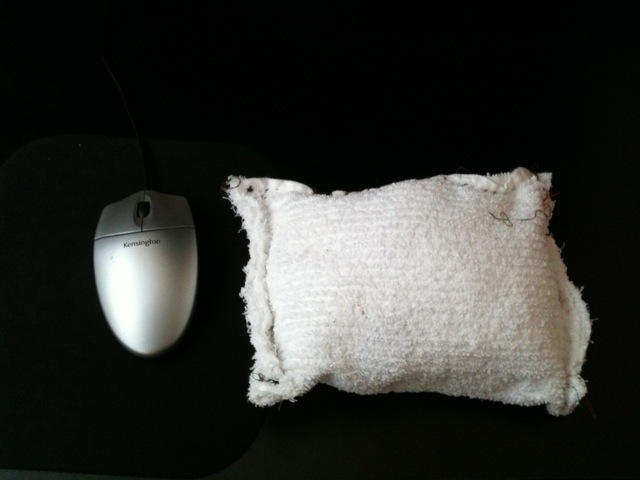 This is a simple and cheap way to make a weighted lap pillow. Children on the spectrum often require more tactile stimulation to keep them grounded and focused. This can help them in many contexts including: when sitting down to read, when completing homework, while in class, while watching a movie, playing a videogame, etc. The pillow evenly distributes weight across the lap, providing a soothing sensory experience. When I asked my clients to describe how the weighted lap pillow felt, they shared the following: “my feet feel stuck to the ground (grounded in place)”, “my legs are cool (temperature)”, “it feels good”. There bodies spoke more than their words. They were able to remain in one place, while checking in about their day, when they had the weighted pillow resting across their laps. 1. 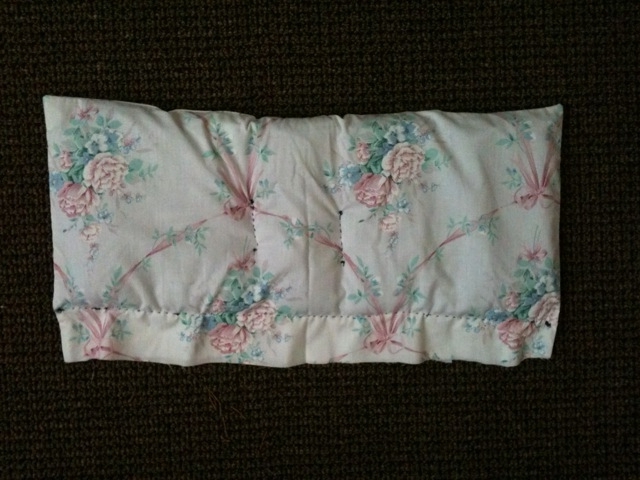 Old Pillow case (relatively thick, on the soft side). 3. 5 lbs of Rice (cheap and effective – but not for the wash or dryer) or Polypropelene Pellets (sold pretty much any craft store – about $2.50/pound – washer and dryer safe). I think that 5 lbs is usually plenty. 1.Take an old pillow case and sew it in half (longways). 2. Dump a standard size mug of rice/pellets into the opening (just make sure you use the same cup/mug each time). 3. Now just sew across (about 3.5-4 inches from the bottom) so that the rice is contained in this small 3.5x 8 inch pocket. 4. Do this all the way up one side of the pillow case. It should be about five sewn pockets of rice/pellets. 5. Cut the unused half of the pillow case off. Here’s wha I came up with (I sewed the other half of the case over the first…just for reinforcement). Try Throwing a Heavy bean bag back and forth. The Heavy Bean Bag is a sensory prop I use and have found to be very grounding for children when their bodies are over-stimulated and disregulated. More importantly, it has been an integral tool in bringing the child into the room (present and aware) and getting them involved in back and forth engagement. Two dish towels or 1 pillow case. 3-4 lbs of small rocks no larger than a quarter or rice. I like to throw this bag back and forth with my clients when they are frustrated or upset to bring them back into balance (I often do this before trying to “talk about” what’s bothering them). I am a firm believer in first regulating a child’s body before attempting to balance his/her affective state. With those who are able, I find this prop also makes therapeutic processing less laborious. Here is my first attempt at the Bean bag. I completed this with a client of mine in about 30 minutes 🙂 I’ve since done another with rice, which i find to be even more soothing and makes much less noise.